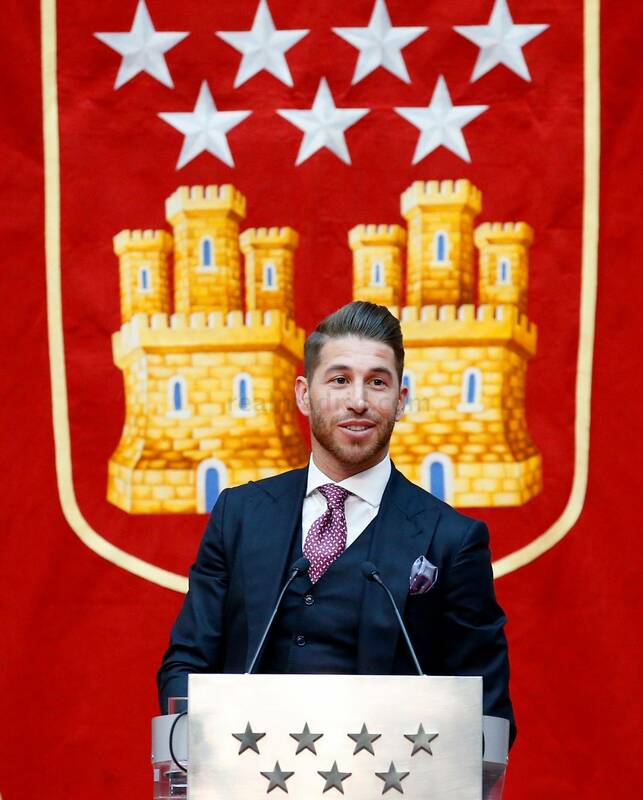 Sergio Ramos was presented with the Seven Stars of Madrid award for best sportsman on Thursday afternoon. The Real Madrid captain scooped the prestigious prize for his successes on the pitch and his work in promoting sports in the Spanish capital over the years. 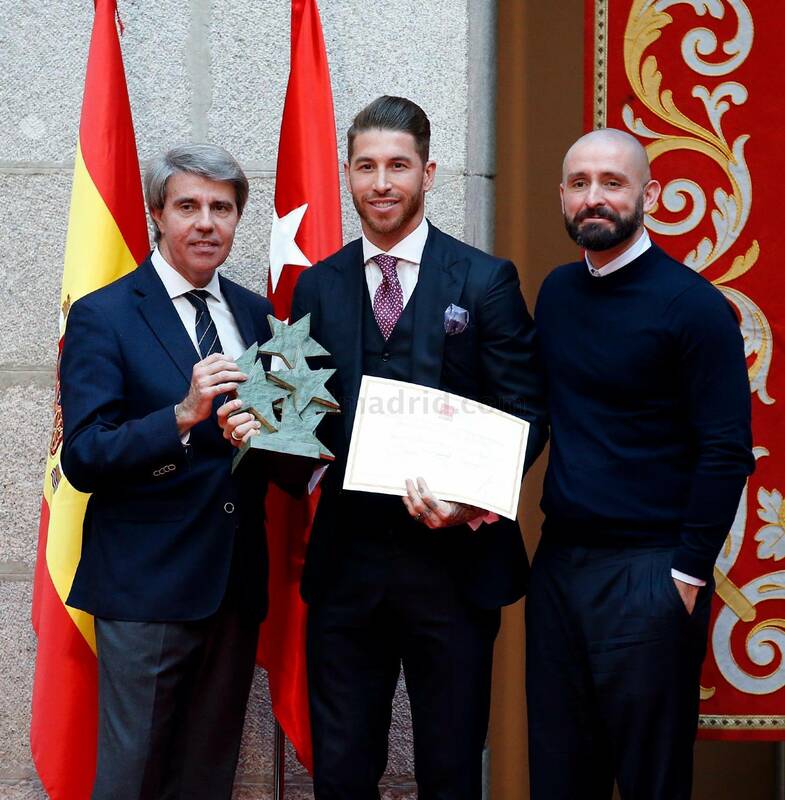 Angel Garrido, head of Madrid’s regional government, was at the sports awards gala at the Real Casa de Correos to hand over the prize to Ramos. I am proud to be captain and we have represented the region throughout the world in the best way possible, winning titles, providing the people of Madrid real moments of joy and always trying to live up to what the region represents. It gives me a real sense of both joy and pride to have been named best male athlete at the Seven Star of Madrid awards. I am even more thrilled to get a prize for promoting and embodying sporting values. I am from Seville, Andalusia and I certainly feel it, but the region of Madrid welcomed with open arms 13 years ago and it is here where I have grown as a person and a professional, and I feel at home at here. Ramos, who captained Madrid to their third successive Champions League triumph last May, was recognised with the Seven Stars of the Community of Madrid as the best male athlete after a jury, made up of several personalities from the world of sports, voted for him to win the award.